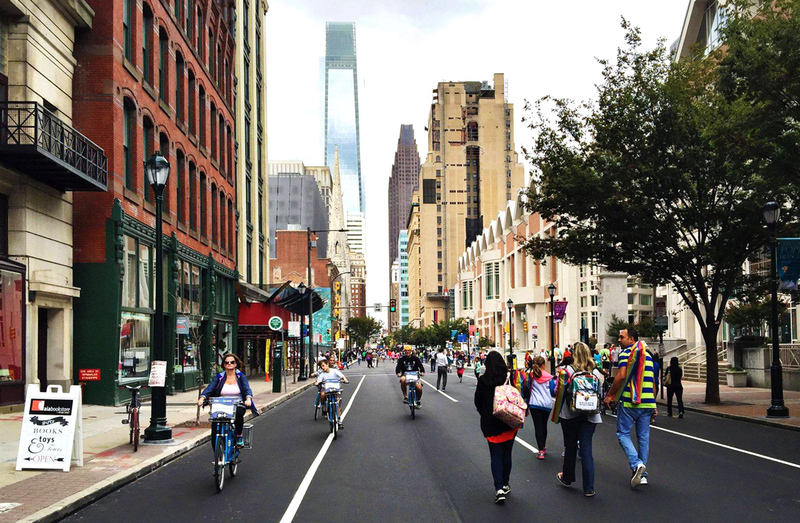 Did you get a chance to experience the car-free streets of Center City Philadelphia during the Pope’s visit last month? Perhaps you participated in the bike ride that wound around the perimeter of the no-car zone. Maybe you went for a leisurely stroll down the middle of Market Street. On the other hand, it’s possible you found it extremely inconvenient! Whether you enjoyed it or not, the city is considering having another temporary street shutdown event later this fall, and they’re looking for everyone’s feedback. Go to https://alpha.phila.gov/news/mayors-office/open-streets-survey/ and let them know where, when, what time you would most appreciate another event like the one we had in September. See you on the streets!